Rusty is determined to help an injured dog that is chained outdoors in freezing weather. He tries to help the dog with the help of his best friend and a ghost collie. Read this book to find the evil sinister secret about the dog and its owner. 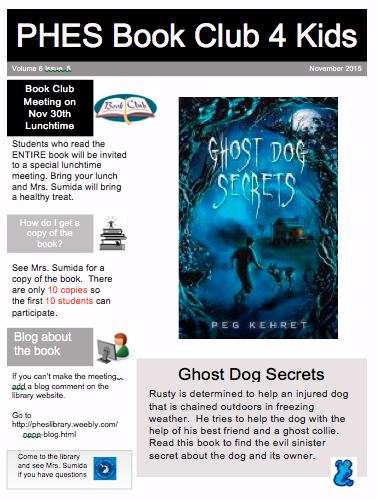 All students who leave a message will be invited to a special luncheon in the library to discuss the book on November 30th. See Mrs. Sumida for a copy of the book.